This book examines the life of an important, but often forgotten, Protestant Reformer. Katherine Parr, one of only a handful of women to publish in a hundred-year period in England, dared to push Henry VIII toward the Reformation, nearly losing her head as a result. This volume is a guided tour of her life, her contributions to the Reformation, and her writings. 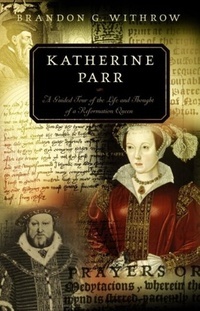 Including the full text of her two books as well as select letters, Katherine Parr presents both an intimate portrait of a woman struggling to make a difference, and a reintroduction of a classic text to the contemporary church.